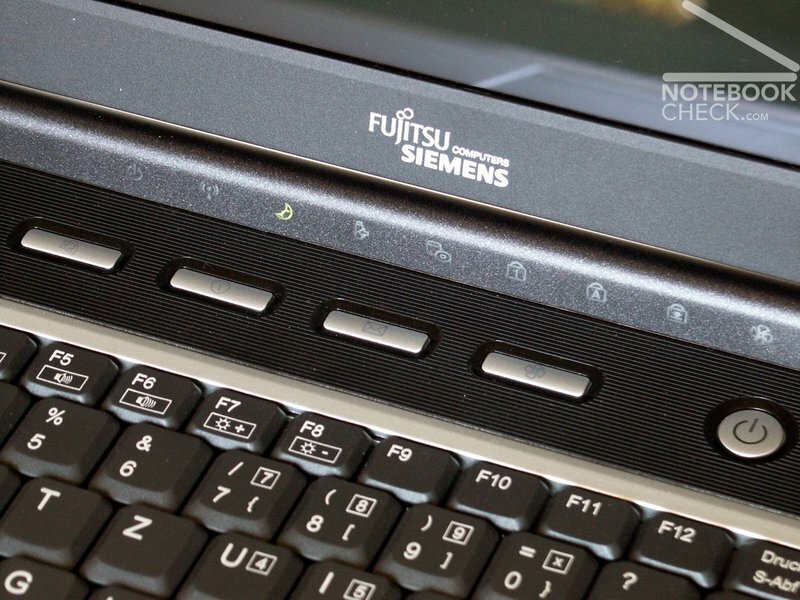 Once anticipated: The Fujitsu-Siemens Amilo M1437G does not seem like a one year old notebook, at least concerning design and features. The shaping works with its gentle curves and rounded corners timeless and pleasing and the notebook is clearly recognizable as a FSC product. 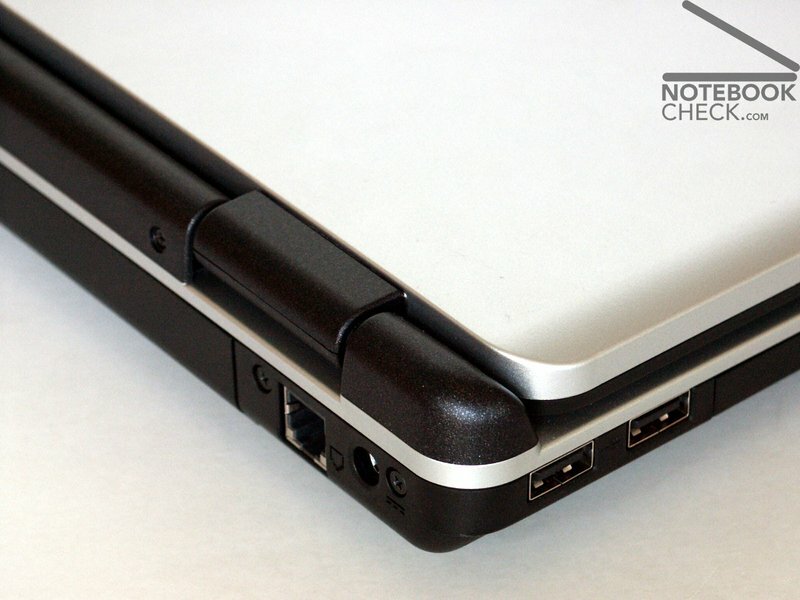 The black plastic base unit is covered by a silver colored surface. Also the display cover is coloured in silver. 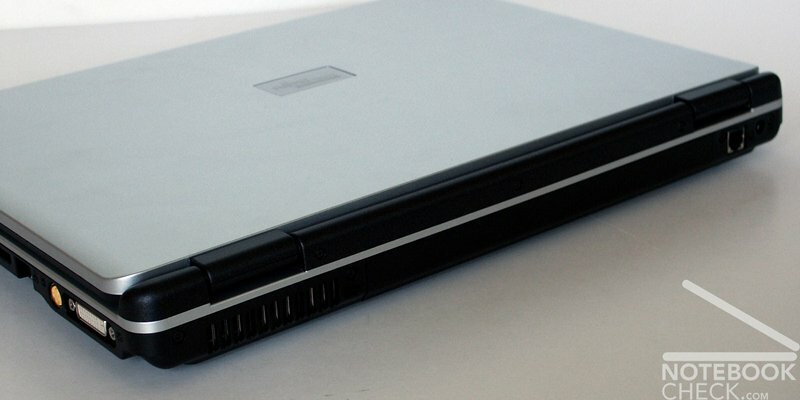 The workmanship of the case could quite convince: neither any crunching nor a considerable flexing susceptibility of the chassis could be observed. In front of the keyboard the case can be flexed a bit, but it is no cause for worries. Also gaps between the parts of the chassis are inconspicuous, which means cleanly finished. 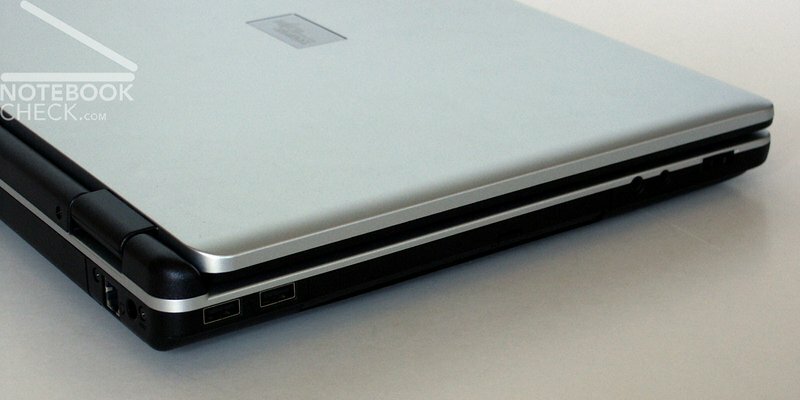 Very pleasing is the DVI connection, which the notebook offers - and that already almost for one year. Up to now a digital screen exit is not standard. 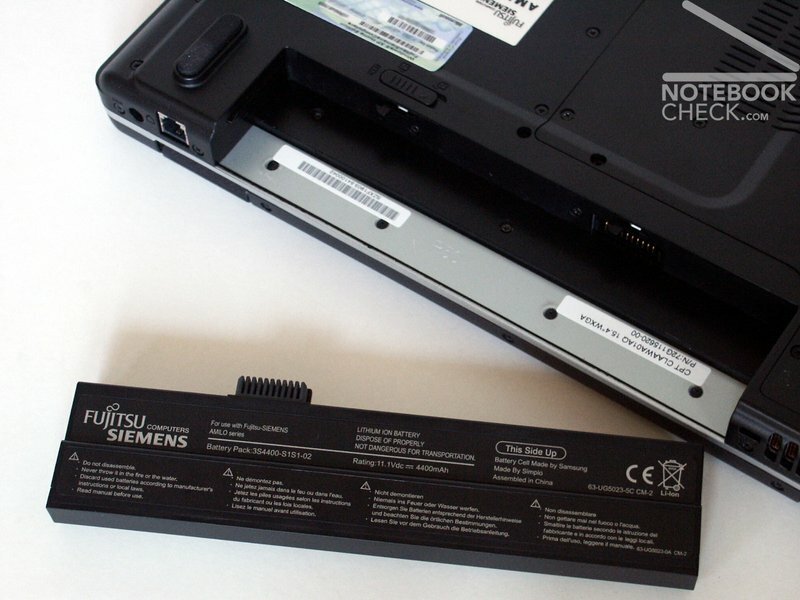 A reason for criticism is the positioning of the connections, since they distribute themselves almost around the whole laptop. 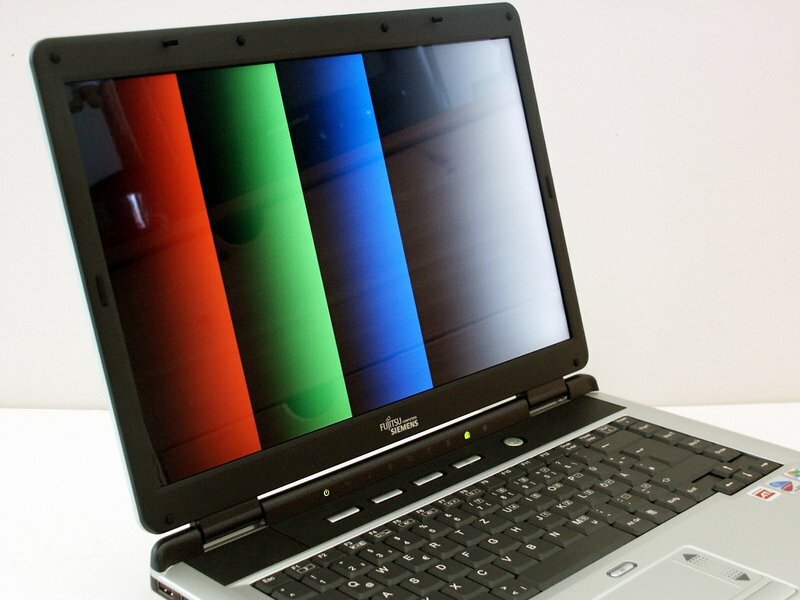 The display closing mechanism seems to function perfectly, but sometimes announces itself with a silent squeaking. 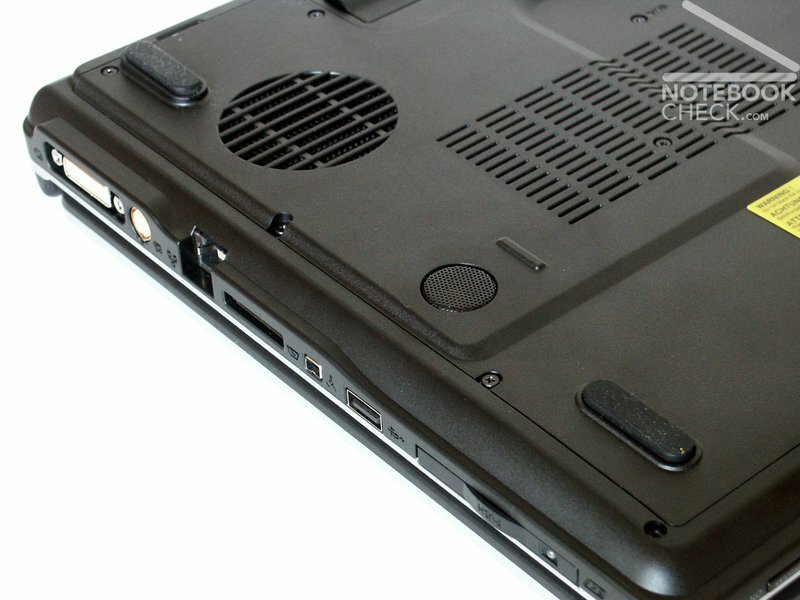 The closing system closes the display cleanly and precisely and holds the display cover reliably and without a wobbling close to the case. 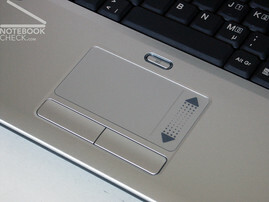 In addition the FSC Amilo case still offers a switch for the activation of the antenna (WLAN), a turnable volume regulator and also a separate key for the deactivation of the touchpad. 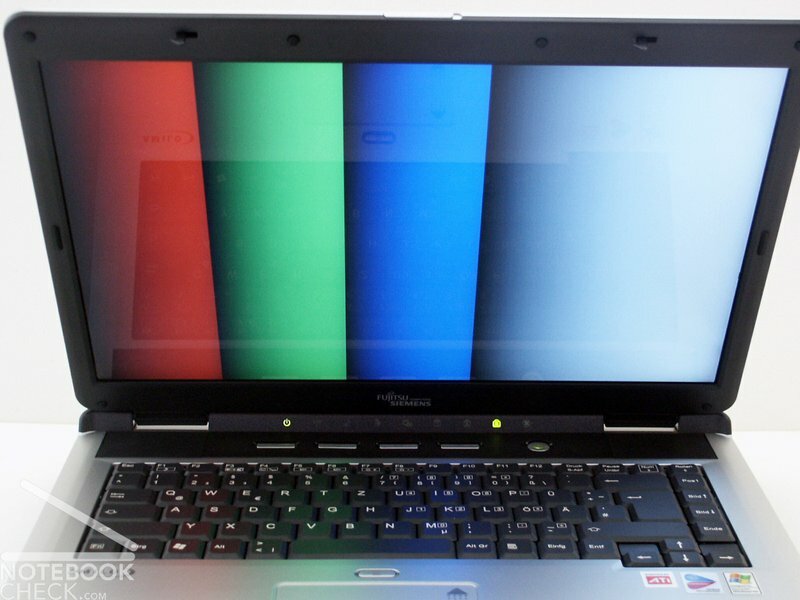 A layout, which - for my taste - needs some habituation, characterises the keyboard of the Amilo M1437G. 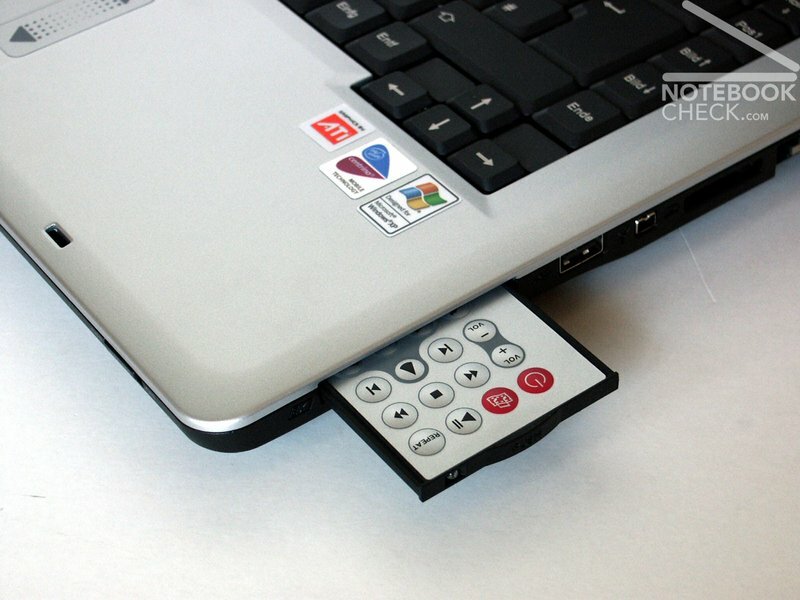 Not only, that the insert and remove keys are right beside the space bar, the space bar too short at the left side. All other keys got a normal size and obtain a good tapping feeling with a light resistance. A few keys wobble laterally. 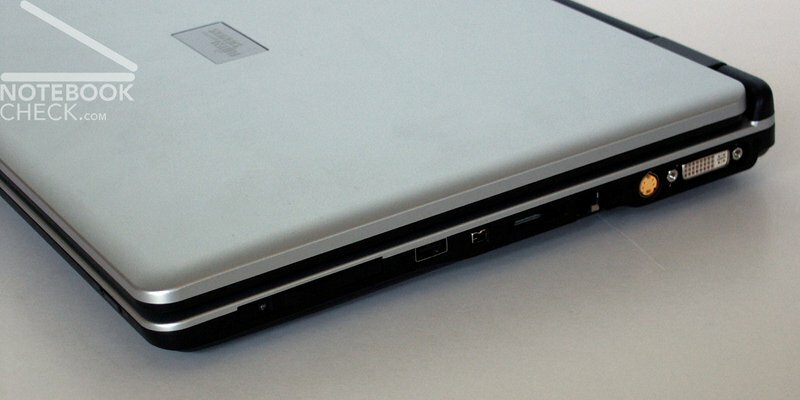 The keyboard unit is inserted absolutely firm in the base unit, a flexing is in a few areas possible, but negligible. 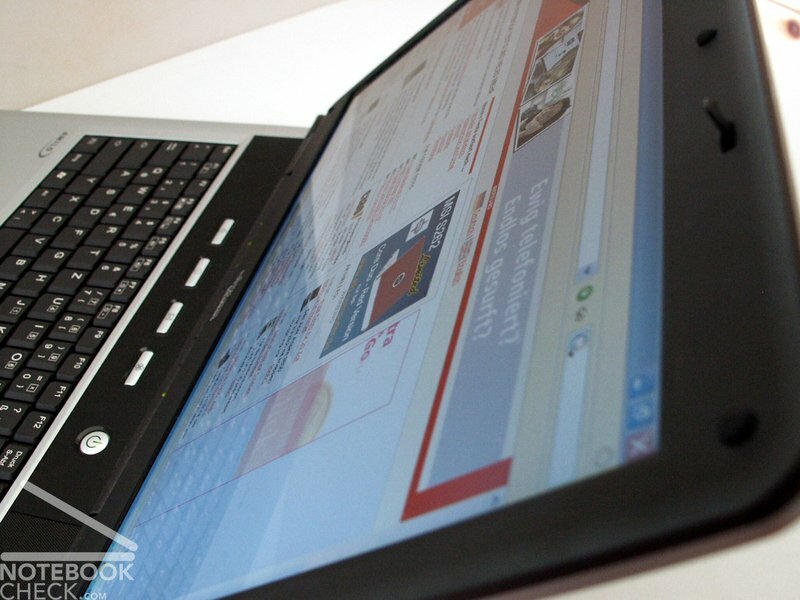 A widescreen format was selected for the touchpad, which is characterised by a perfect responsing mode and a good surface. The touchpad keys can only be pressed with much effort, since they resist substantially. In addition three auxiliary keys with mail, web and media functions and a silent mode button are offered. The last one is marked by a fan logo. 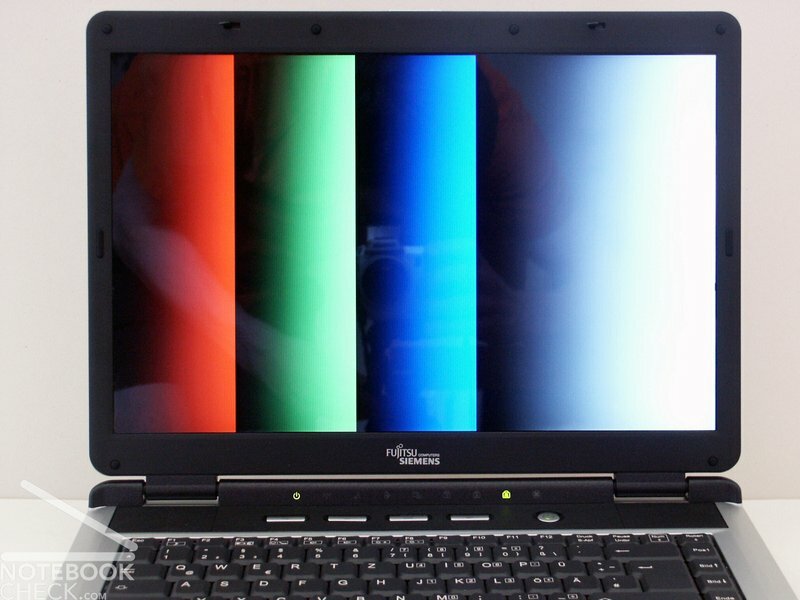 Except the mirroring, there are not many reasons for reproaches against the very bright display with a resolution of 1280x800 pixels. Colors and contrast seem ok, and also the maximally measured brightness of very good 233.8 cd/m² with an illuminating of 80.0% hardly leave a reason for criticism. 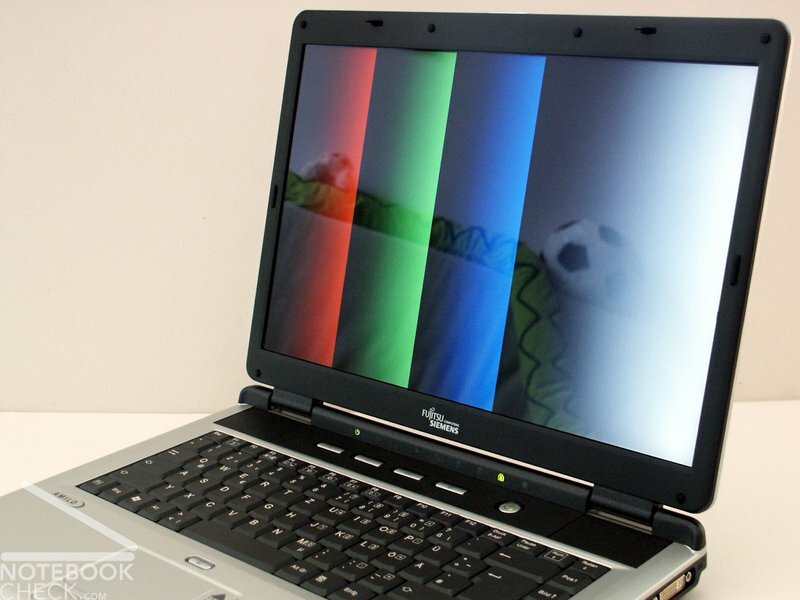 Even the test of the inclination to the creation of streaks resulted without objections with a reached level 6 in the Pixperan readability test. In the horizontal view the stability of viewing angles is very good, apart from possible reflections and mirroring. However within the vertical range clarifications or darkening of the image is possible during a change of the point of view. 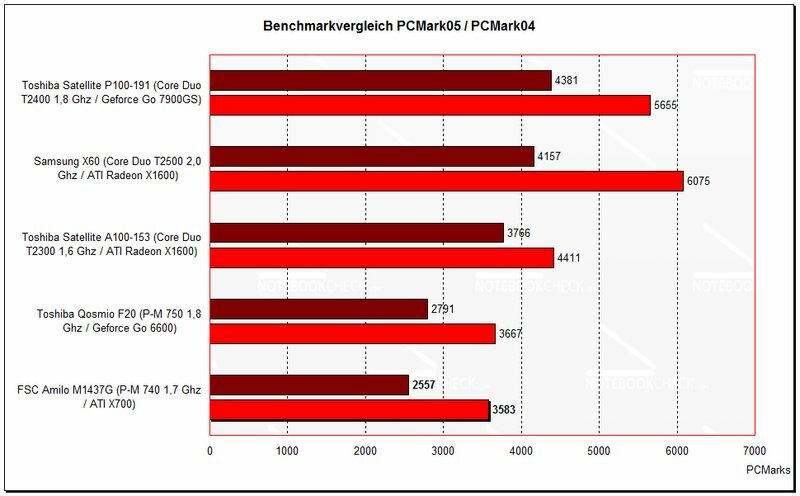 As already mentioned: can a Pentium M, in this case a 740 with 1.73 Ghz keep up with new multi-core processors? The answer is clear: no, not at all. 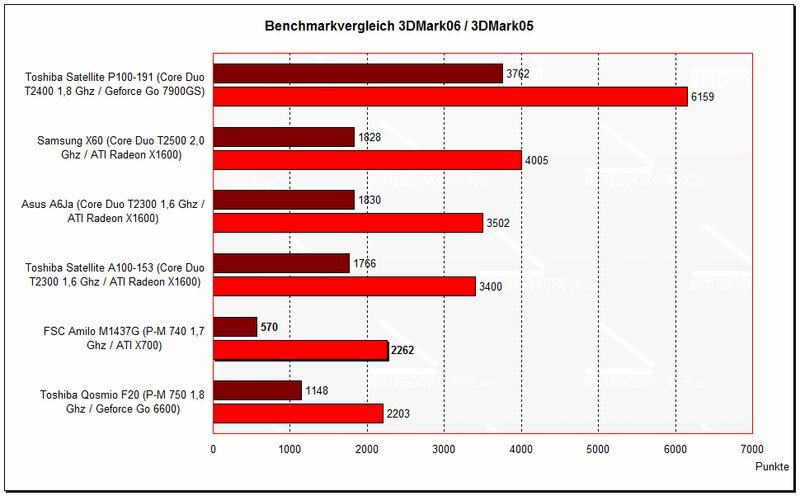 Already the small multi-core processor T2300 with 1.66 Ghz achieves in the PCMark application benchmark test about 50% more points than the Pentium M processor. Also the ATI Radeon X700 video card performs clearly far behind current X xx00 solutions of ATI and/or Geforce Go 7xxx video cards. Apart from the rather bad benchmark results current games could be played, however in reduced resolution. 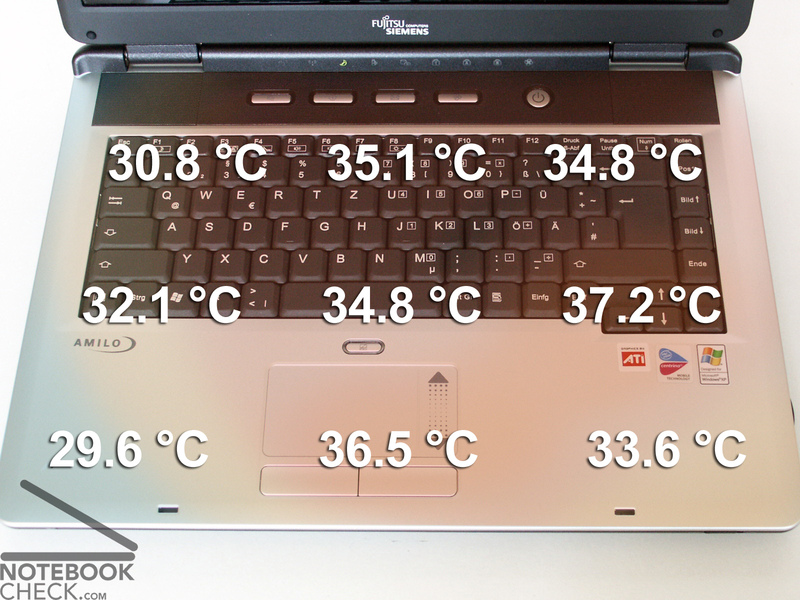 The notebook heats up quickly, even without load. This is remarkable and probably disturbing. 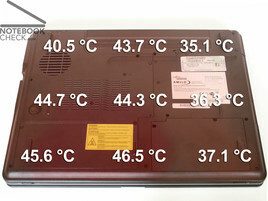 Under load particularly at the bottom the laptop heats up and in addition on the upper side within the range of the touchpad and other areas in front of the keyboard. 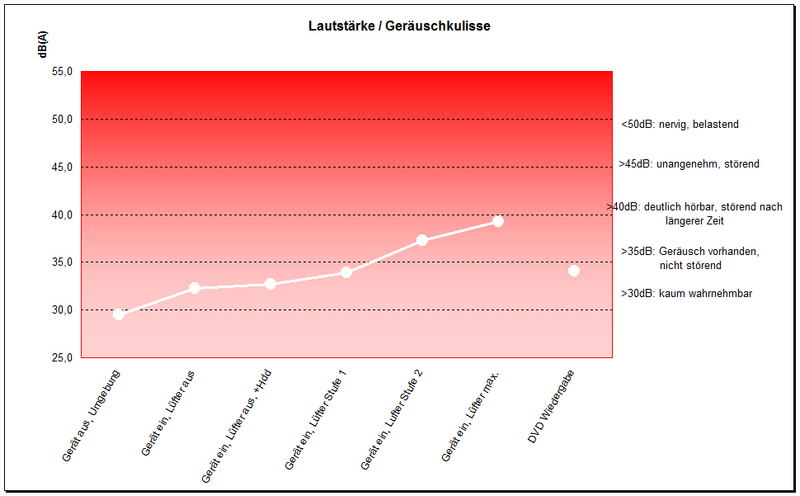 Without load the fan starts again and again, especially in the summer with hot environmental temperatures. 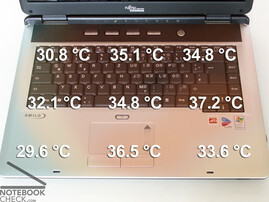 Remedy can create the Silent Mode of the laptop, which switches off the fan. Regrettably this affects the performance of the mobile computer negatively. Under load quite acceptable volumes of up to 39.9 dB were measured. 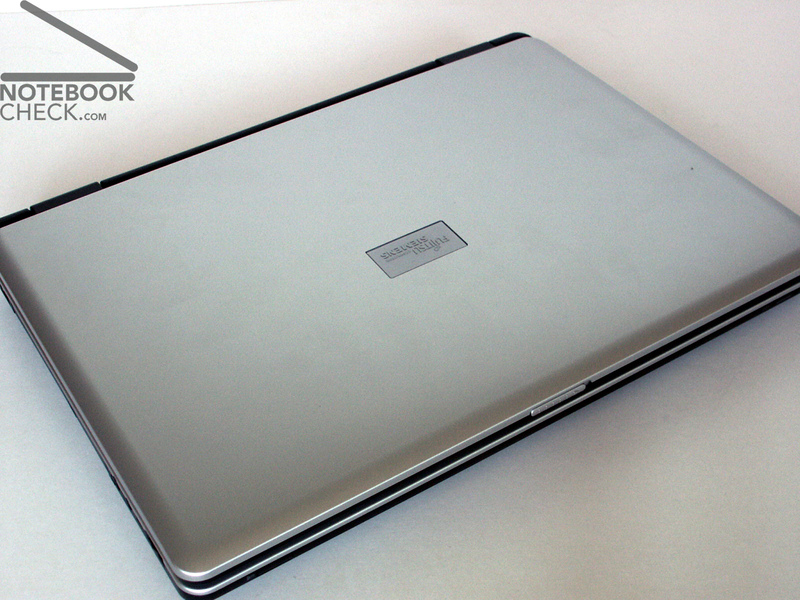 The FSC Amilo, equipped with a 4400 mAh lithium-ion battery, showed average runtimes. 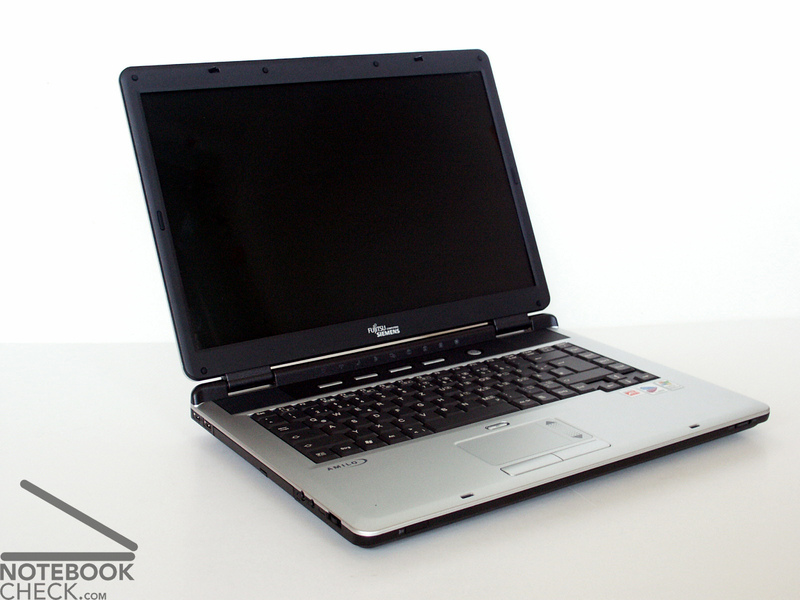 If you ignore the performance, the Amilo M1437G is still after a year of market presence ready for competition. 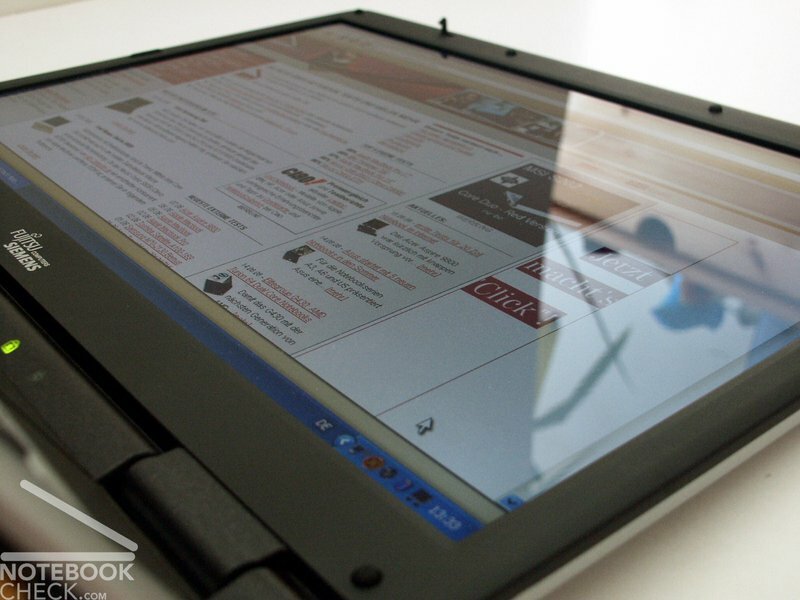 Still a good quality of workmanship and good input devices are an important purchase argument. 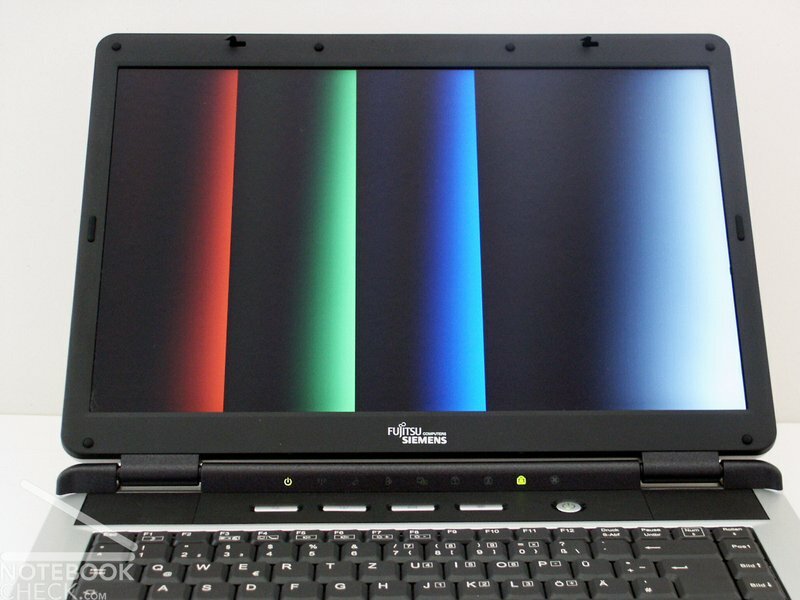 Also the bright and well illuminated display is quite good compared with current devices. 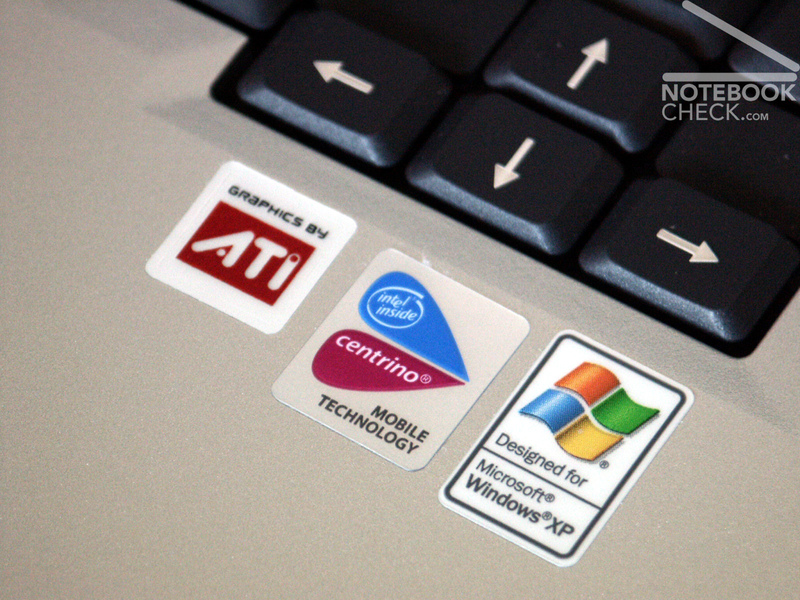 However, in the direct confrontation with performance data of Core Duo notebooks and modern video cards, it must be admitted, that a Pentium M today is only the second choice. The same applies to the video card: as the Radeon 9700 was replaced by the ATI X700, now the same fate overtakes the X700. 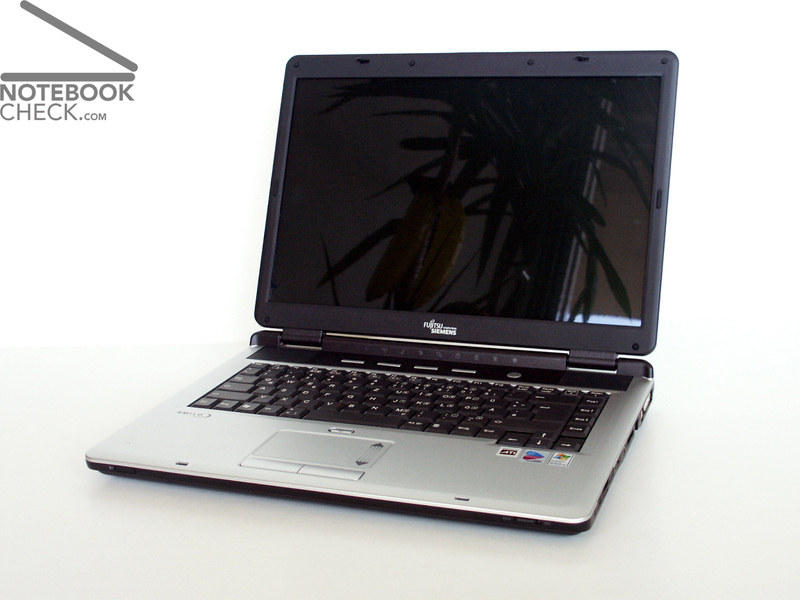 For a playing without troubles, nowadays at least a ATI X1600 should work in a laptop. Nonetheless people, who do not want to take part in the race for even faster and faster processors and video cards, are still well advised with the Amilo M1437. 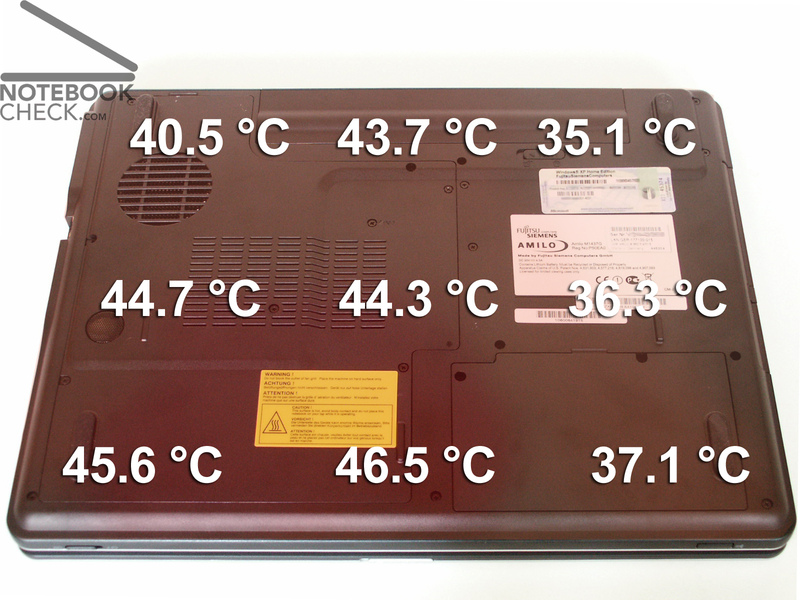 According emissions it is to be marked, that the laptop becomes somewhat more hot than comparable competitors, but the noise emissions are tolerable. 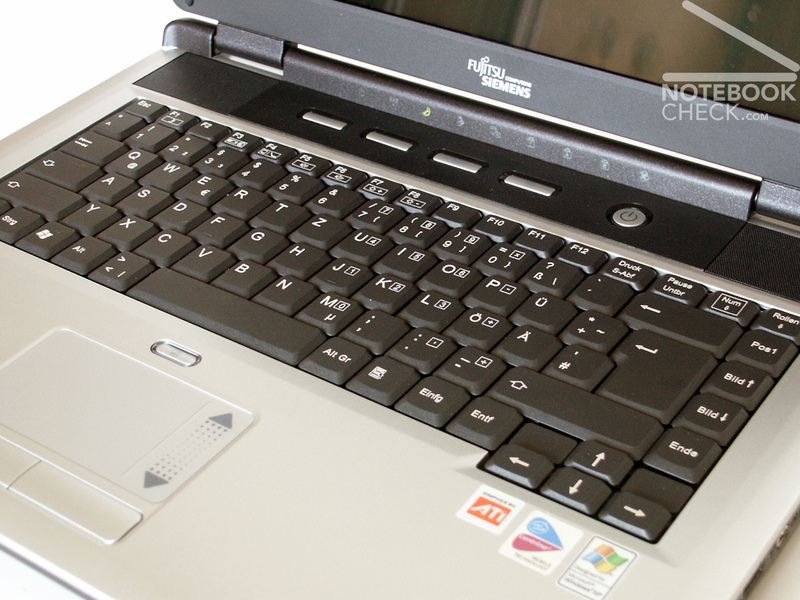 Especially the "Silent Mode" of the notebook allows silent working although with severe performance losses. Indeed the Silent Mode button makes the Amilo very silent. 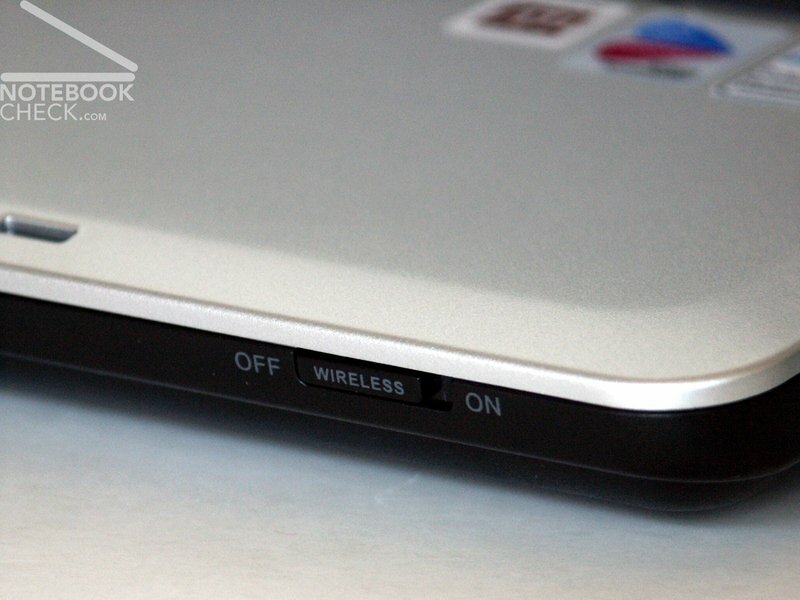 Practical: WLan switch at the front side of the laptop. The integrated subwoofer can hardly be perceived. 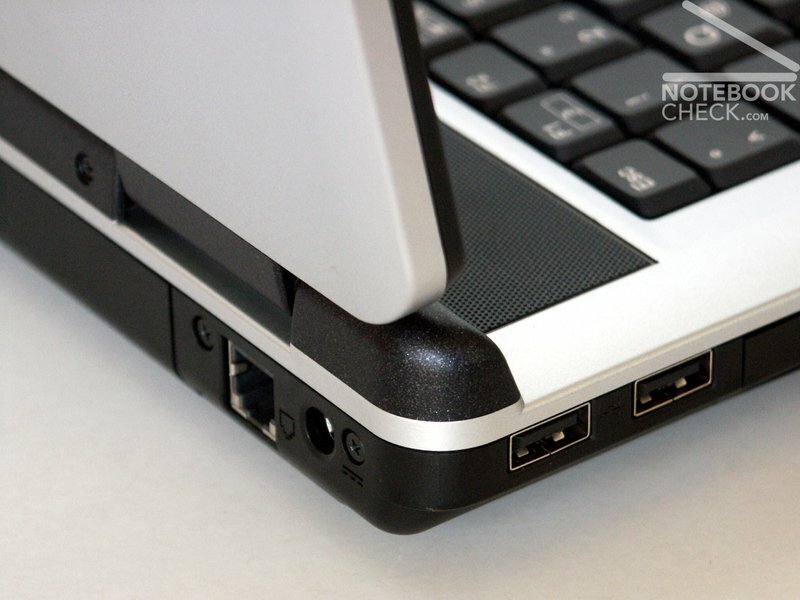 ...3 USB 2.0 ports are offered.